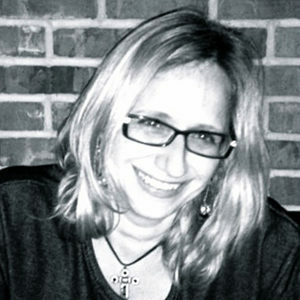 Kelly Occhiuzzo Zack Art ’90 is an art and design professional with 25 years experience in the Special Events/Event Planning field. She also has a lifetime of experience in the Service Industry, having grown up the daughter of a lifelong restaurateur. I am looking forward to continuing my work with the CUAA and The Cooper Union in finding our path back to FREE. > Since 2013, I have actively served on the CUAA’s Events Committee, serving as Co­Chair in 2014-­15, and elected VP of Alumni Events in the Spring of 2015. > I have participated in many events brought to our alumni and students by the CUAA, including the CUAA’s Annual Holiday Parties, CUAA@AllSouls, CUAA@McSorley’s, CUAA@190 Broadway, CUAA@Orientation/Peter Cooper Movie Night 2015, and the wonderfully successful Founder’s Day 2014 & 2015/Peter Cooper Block Party. > ‘I have endeavored to remember that the object of life is to do good.’ ~Peter Cooper. These are words I choose to live by, and why I continue to be an active member of the CUAA. It is worth it–this struggle to preserve The Cooper Union, for future generations. Art and design professional with years of experience in the fields of Set Design, Window and Visual Display and Special Events. I have worked as art director and freelancer for large Special Event Companies.